Every three years since 2004, AAAE hosts a Triennial Conference during the month of September. Professionals and students in the field of agricultural, applied and development economics congregate. This provides an opportunity to present their research papers, learn about the latest trends in the field, share insights and experiences in their specialities, meet with peers, network and revive friendship. The association has thus held five successful conferences since it’s inaugural event in Nairobi, in 2004. Below is a list of the conferences the association has organised, including the upcoming event in Nigeria in September 2019. Visit the upcoming event’s page and bookmark the page and dates. 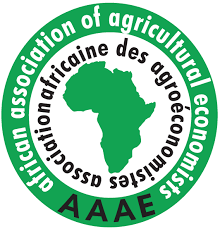 Full versions of Selected Papers presented at the AAAE Annual Meetings are available on AgEcon Search.